My mother was great crafter, sewer, quilter and crocheter. 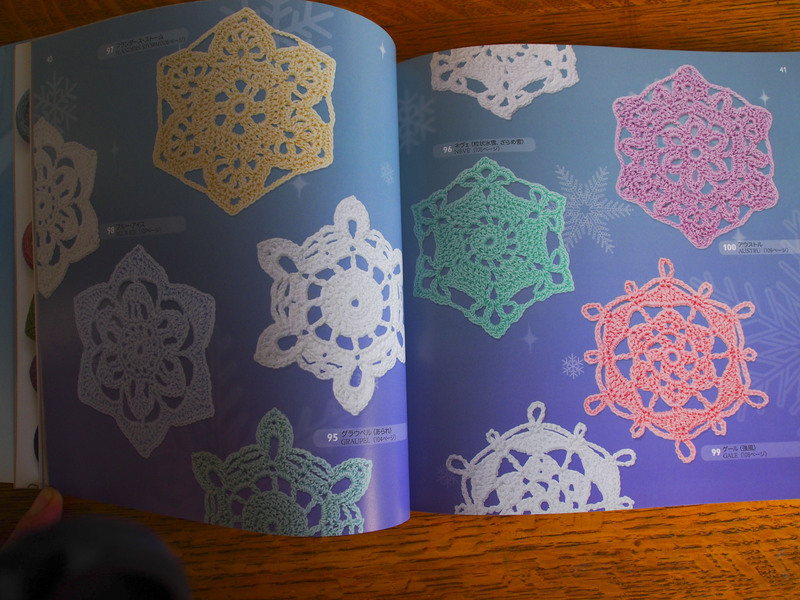 In addition to making all of us beautiful quilts, scrubbies to use in the kitchen, and painting objects, she loved to make crocheted snowflakes for the Christmas tree. 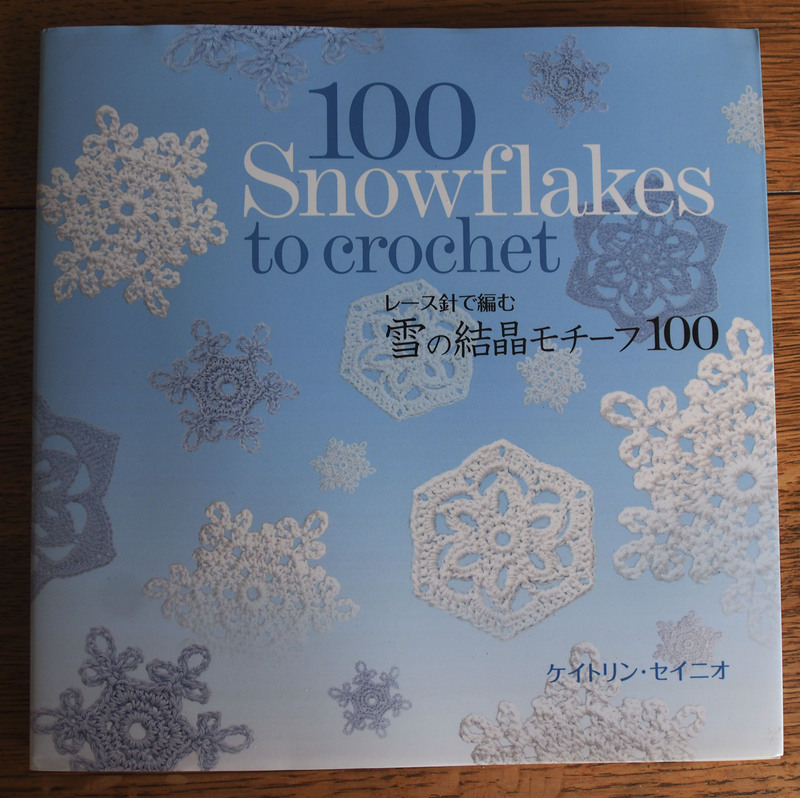 I have many of her snowflakes, so when I saw this book at the Japanese grocery store the other day, I knew that I had to have it. 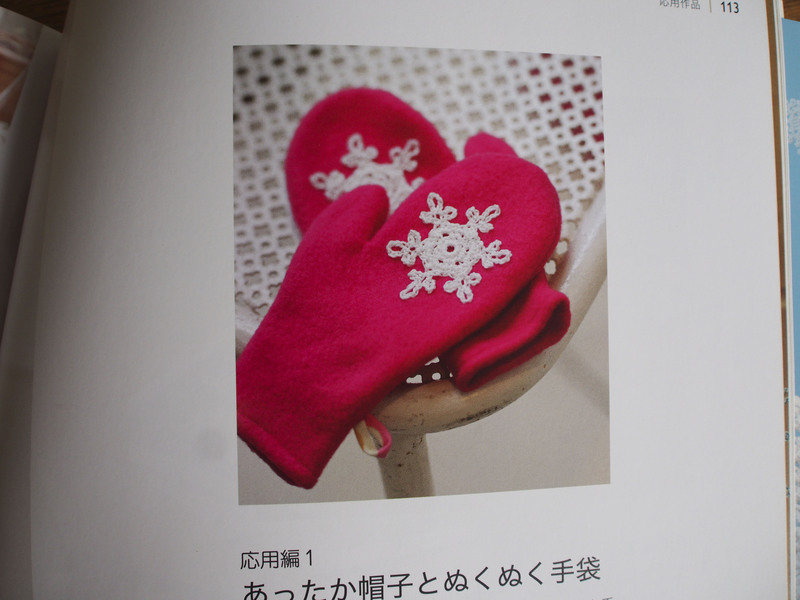 This idea of putting a snowflake on a pair of felted mittens really appeals to me. Hopefully the class that I took from Donna Druchanus on knitting with Japanese pattern books will help me to decipher these patterns also.